We're already in the second week of the New Year - that's approximately 168 hours you've had to lapse on your New Year Resolutions. So, how's that going? In the first week of January, I asked my barre class, "IF we were making resolutions, which we're not, what would they be?" I was surprised that almost everyone said their resolution was to eat less sugar and more vegetables. Surprised, because I love vegetables and find it easy to incorporate them into my daily meals. I suppose I take it for granted that I don't have any desire for sugar either... I think we can change our palate and what we desire to eat when we change our habits with persistent and dedicated focus. Choice by choice. This doesn't mean a life of no joy at all - and certainly, there's a number of naturally sweet foods that are extremely good for you! Some zealous celebrity trainers and insta-nutritionists will carp on about fruit being detrimental to healthy weight and body but that is absolutely baseless and irresponsible. Any food, in excess, isn't healthy. I hate to be boring, but remember that quote, "Eat, not too much. Mostly plants." Yes. And I'd add to that, ENJOY what you eat because guilt tastes bitter and toxic and no amount of "clean" eating will eradicate that bitterness. So, in the spirit of supporting you to get excited about vegetables, here is a recipe from The Vegetable by Caroline Griffiths & Vicki Valsamis (Simon & Schuster). I also want to recommend another book that I received over the holiday period and that I am VERY excited about. Raw Is More by Eccie and Gini Newton (Simon & Schuster). 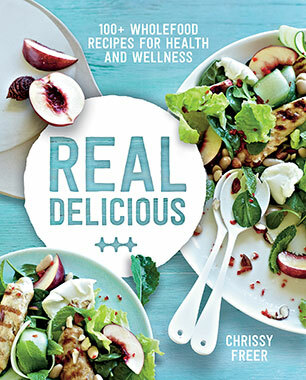 As some of you know, I'm studying to be a Raw Food Chef with the Raw Food Institute of Australia. 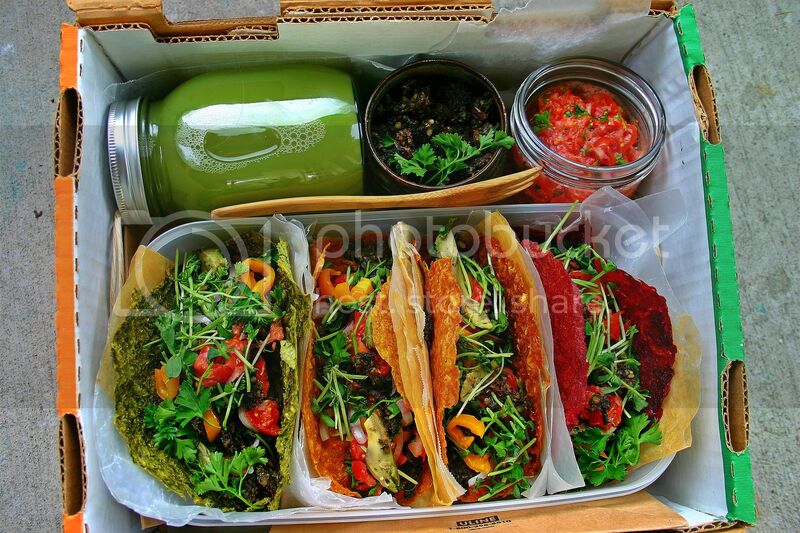 I get so excited by the amount of delicious and flavourful food that can be prepared and shared: all raw. 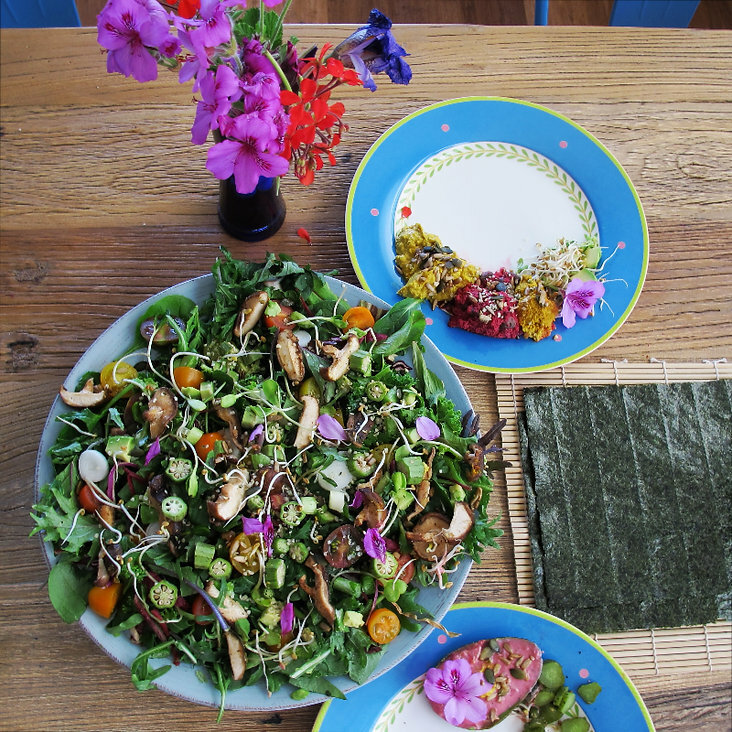 Anyone who has been to Ubud, Bali has discovered a world of raw, plant based food menus, where colour, freshness, flavour and nutrition are bursting off the plate morning to evening. Bring a bit of that raw, wild, colourful energy into your daily life here. Just to keep you inspired and dedicated to adding veggies to your day, I've designed you a 7 Day Vegetable Commitment planner! All you need to do is circle at least three vegetables you've eaten that day. It is also a list that gives you a huge range of ideas for when the only idea that vegetable conjures up is brussel sprouts and lettuce. Free download (PDF). There has been much research into the mind-gut-hormones connection and the science is compelling and convincing. What, when and how you eat directly affects your hormones and your immune system. Constantly getting infections? Feeling lethargic? Rashes and allergic-type reactions? There are so many ways that poor diet can manifest in your body. This doesn't just mean eating bags full of jelly snakes during the afternoon slump. This means restricting food groups, severe calorie restriction, binge eating, eating processed and packaged food as replacements for whole foods (vegetables, fruit, legumes, grains). There are weeks I will not eat meat at all, or times when that's exactly what my body craves. One thing I can definitely say I'm guilty of is overdoing the caffeine. I know it is behind my poor sleep and ability to get anxious in a heartbeat! So I will aim to reduce my caffeine and heal my gut. What will you do in the aims of healing your gut? 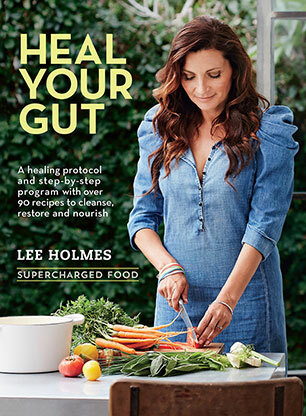 I've got Lee Holmes' (Supercharged Food) Heal Your Gut for inspiration, information and recipes galore. It's not only super informative and well-researched, but gorgeous to look at. Definitely one for the kitchen AND the coffee table. 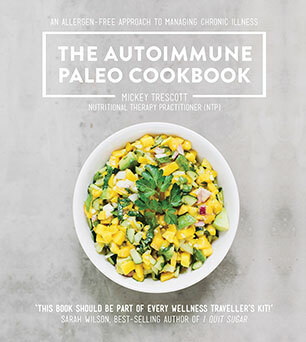 The book is designed to assist in restoring gut health with 90 anti-inflammatory recipes to heal and nourish. These include warming drinks with ingredients such as turmeric, chamomile and ginger, sustaining vegetable and meat broths & soups and deliciously delicate desserts like baked blueberry custard. 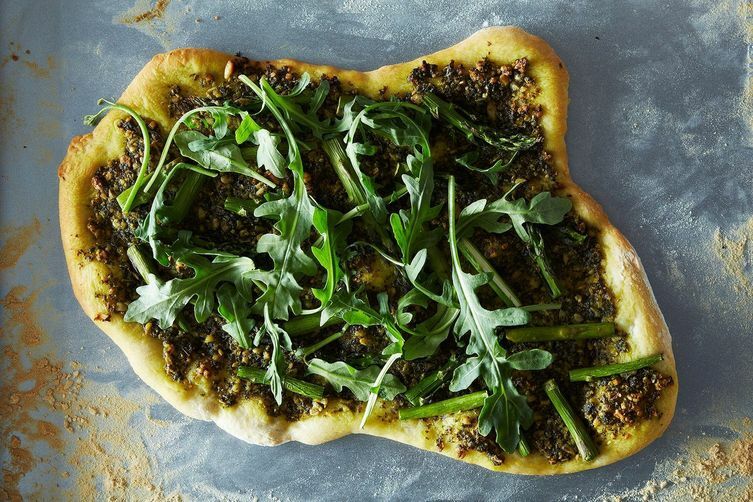 Just because I love your guts, I'm going to share some recipes with you. Enjoy. a powerful digestive aid and a detoxifier for the kidneys and bladder. Drink this shot after eating to improve digestion. Put all the ingredients in a small saucepan over medium heat and bring to the boil. Reduce the heat and simmer for 2 minutes. Remove from the heat and set aside for 2 minutes before straining. Cool to room temperature and divide between four glasses to serve. I just love the healthy snap of a bright-green new-season asparagus stalk. Enjoy their uniquely grassy, sweet flavour and their healthy-bacteria-boosting proteins in this fresh and uplifting soup. for 15 minutes or until the turnip is tender, then add the salt. Gelatine is a good source of protein and contains eighteen protein-building amino acids. It’s a great ingredient to include in your gut-healing arsenal, as it seals the digestive tract to help boost nutrient absorption. Put half the almond milk and the gelatine in a small saucepan over low heat. Whisk briskly until the gelatine is dissolved. Remove from the heat and add the remaining almond milk along with the vanilla and stevia, and whisk to combine. Pour into one or two glasses or jelly moulds and refrigerate until set. The jelly can be stored in an airtight container in the fridge for 1–2 weeks. It's the 3pm Munchies Cure! From the fabulous Recipes and Images from Courtyard Kitchen by Natalie Boog, published by Murdoch Books, I have two killer recipes that will have you racing for the door and ready to get into the kitchen tonight. Or now. Book available now. Buy it here. When cooked perfectly, these chips have a lovely crunchy crust. They’re delicious on their own as a snack, or served with steak and salad. If I’m cooking polenta to eat with another dish, I make extra with a little basil, and refrigerate it, so I have some ready to go for these yummy chips. Line a 20 cm (8 inch) square glass or ceramic dish with baking paper. Put the stock and 500 ml (17 fl oz/2 cups) water in a saucepan and bring to the boil over medium heat. Slowly pour in the polenta, whisking until well combined. Reduce the heat to low and cook, stirring regularly to prevent the polenta catching, for about 20 minutes, or until the mixture is thick and comes away from the side of the pan. Remove from the heat, add the parmesan and basil, season to taste and combine well. Pour the polenta into the prepared dish, cool, then refrigerate for 2 hours, or until firm. Cut the polenta into chips and cook on a lightly oiled barbecue hotplate until golden and crisp on all sides. Alternatively, spray the chips with olive oil and bake at 180°C (350°F) for 20 minutes, or until crisp and golden. Serve hot. Put lamb in a shallow dish, drizzle with a little oil, add half the rosemary and thyme, season with salt and pepper and toss to combine. Leave to stand for 30 minutes. Put the tomatoes on a baking tray, drizzle with a little oil and season. Roast for 20 minutes, or until soft but not falling apart. Leave oven on. Heat an ovenproof frying pan over medium–high heat and sear the lamb on both sides, until just browned. Transfer the pan to the oven and roast the lamb for 10–12 minutes, or until it is cooked to your liking. Allow the lamb to rest for 10 minutes, before slicing it diagonally. Meanwhile, heat a little oil in a frying pan over medium heat. Fry the haloumi for 30 seconds on each side, or until golden. Remove from the pan and tear into large pieces. Put all the herbs, including the remaining rosemary and thyme, in a bowl. Add the rocket, pine nuts, roasted tomatoes and haloumi. Whisk oil and vinegar together and season to taste. Pour the dressing over the salad and toss gently to combine. Divide the salad evenly among four plates, top with the sliced lamb and serve immediately.